If you love technology, Microsoft is the place to be! You will talk tech, walk tech, and sleep tech with some of the brightest minds in the industry. At Microsoft you will get to work on a broad range of technologies from enterprise video gaming – from PCs to mobile phones to Xboxes – from datacenters to desktops. 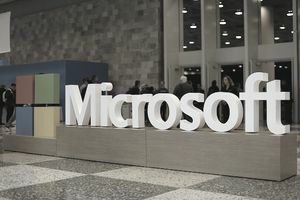 Although it is not the software giant it once was in the personal computing, Microsoft has now expanded its’ reach by extending its market to touch markets from cell phones to mobile apps, software development software, network management tools, and much more. The company operates its business through five major segments: Windows & Windows Live, Server & Tools, Online Services, Microsoft Business, and Entertainment & Devices. Microsoft is the perfect place to work for people with a passion for technology and who want to make an impact through their careers to both the community and in the world. Microsoft is a unique company. The variety of job opportunities and the level of career advancement at Microsoft are incredible and empowers interns to constantly challenge themselves and determine their own destiny. Microsoft was founded in 1975 by Bill Gates. Microsoft is still the most well-known name in technology in the world, rivaled only by Apple for name recognition. Early in its’ history, it rose to dominate the PC operating system market with products like Microsoft Office and Microsoft Windows. Microsoft also markets hardware such as the Xbox and Zune. The company employs over 88,000 people in more than 100 countries. Be sure to discuss your strengths, expertise and any experience that you feel is relative to the position. Carefully review the job description and make sure you are ready to discuss what you bring to the table in relation to what the internship requires. Look online for websites, blogs and other online communities related to the group or position. Come to the meeting with 3 to 5 meaningful questions for your interviewers. Don’t hold back! To be at your best on interview day, make sure you are well rested, well dressed, and motivated. Practice behavioral interviewing questions. Be ready to show your thinking and explain how you came up with a solution to a technical issue, design question, or problem-solving puzzle. Your interview is an opportunity for you to ask questions; listen and learn! Explore Microsoft is a 12-week summer internship program that is designed specifically for college freshmen and sophomores. The program offers a rotational experience aimed at enabling interns to gain experience in different software engineering roles. The program is designed to provide exposure to the various tool and programming languages in the field of software development and encourage students to pursue degrees in computer science, computer engineering, or related technical disciplines through hands-on training and group project experience. Interns on-the-job learning will be augmented with mentoring, community building and networking opportunities. Candidates must be a freshman or sophomore enrolled in a bachelor’s degree program with a demonstrated interest in majoring in computer science, computer engineering, software engineering, or related technical major. Students must have completed an Introduction to Computer Science course (or equivalent class) as well as one semester of calculus (or equivalent) by the start of the program. Microsoft especially encourages applications from groups currently underrepresented in engineering; including women, Native-Americans, African-Americans, Hispanics, Veterans, and students with disabilities. Apply online for the Explore Microsoft Internship Program. Make sure your resume includes your e-mail address, school address and phone number, permanent address and phone number, intended major, and expected graduation date. Get Job Experience with These Internships at Bloomberg L.P. Paid Internship Opportunities for Students at Intel Corp.